Review time!!! So as some of you may or may not know, I have tried to incorporate more natural based products into my beauty regiment starting with the process of growing out my chemical processing and getting my healthy curls back. In my search for new products to try I came across this company called S.W. Basics of Brooklyn. First and foremost the name caught my eye immediately, anything that reminds me of home is so fun for me to support. Started by Adina Grigore, this company uses no more than 5 ingredients in every single one of their products. All responsibly sourced and simple enough to be accessible to everyone yet potent. Ingredients are either certified organic, fair trade, or sourced from small family farms. This contributes to sustainable agriculture, supports small businesses and healthier communities. Amazing and adorable packaging that can be recycled and reused how you see fit. I went with the eye makeup remover to start with. It goes on smooth using a cotton round or ball and dosent have a strong scent. Made from just three ingredients super-light organic sweet almond oil, a bit of organic extra-virgin olive oil, and a little jojoba oil a little bit of this product goes a long way. 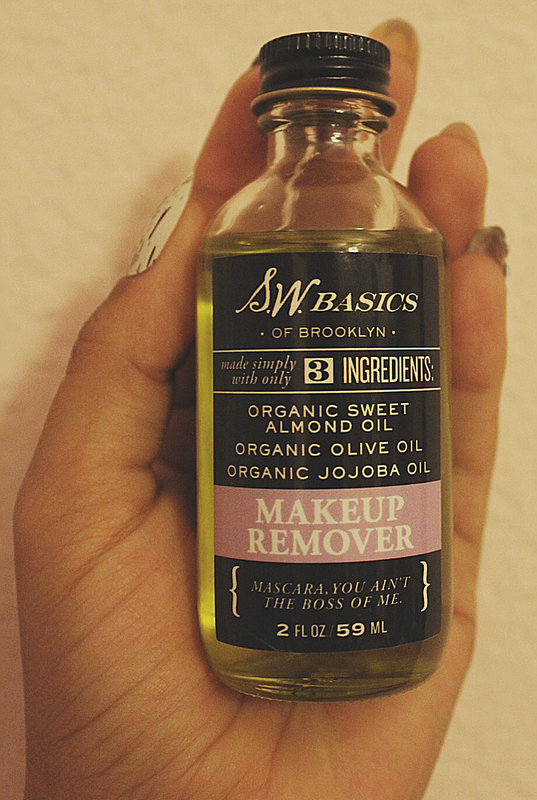 It removes my eye makeup including mascara and can double as a moisturizer. I don’t have to wash off the residue and can actually rub it around my eyes for that sensitive skin area to soak up all the goodness. I am definitely looking forward to trying more of their products in the future including body scrubs and cleansers. Check them out if you have sensitive skin or are just interested in using all natural products. Link Below! Mascara, you ain’t the boss of me.